Hi friends! I am hoping that this Sunday morning finds you all safe and sound from the hurricane that swept the east coast of the US. If you are reading this, then at least hopefully that means you have power. 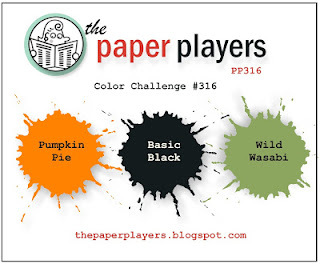 Today at The Paper Players, I have the pleasure and honor of being your hostess, and I chose some seasonal colors. Making a Halloween card is totally optional, as you'll see by the creations of our amazing team. I had a new stamp set that I was dying to ink up, so I did stay with the Halloween theme. Isn't this kitty adorable?! Love it, and love all the accessories in this set, including the cute skull garland. Yes, skulls can be cute! 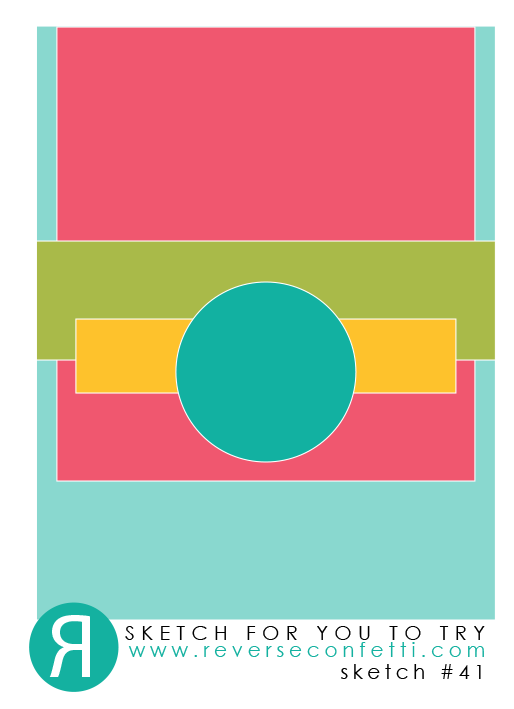 I kept the rest of the card pretty simple because I wanted to give the stamped images center stage. 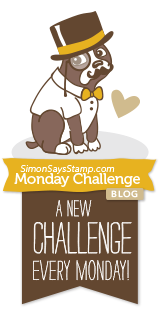 I'm playing along with two other challenges today, the sketch at Reverse Confetti and the Halloween theme at the Simon Says Stamp Monday Challenge. Thanks for stopping by! Please visit the rest of the Design Team at The Paper Players, and I hope you'll play along with my challenge this week, too! Oh my gosh, this is so cute, the skulls don't even scare me! Absolutely adorable! Oh my, this is adorable! Love the sweet little kitty with his pumpkin tote and the skull garland is as sweet as can be! Cutie pie card! That is a fun set...love that kitty! I think that banner is awesome too. You have the cutest stamps....and cards!! Adorable card! And your coloring is total perfection! I am coming down for a lesson! Oh my, your Halloween kitty is just adorable! Love the skull banner too and sweet sentiment - an awesome card for your chosen colours this week! This card is "too cute" with this little Trick or Treating kitty! Oh my stinkin' CUTE! This is ADORABLE!